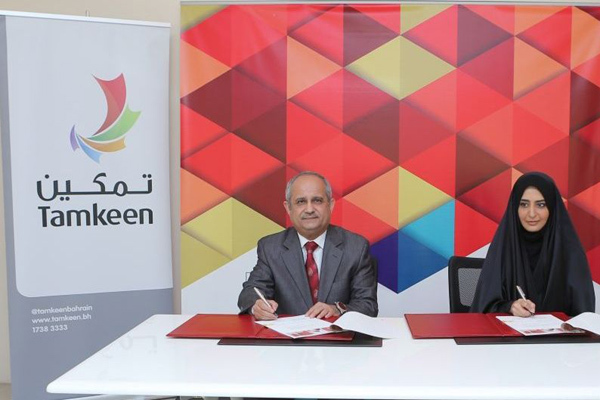 Tamkeen has signed an MoU with Bahrain-based Al Mabarrah Al Khalifia Foundation for a major programme aimed at enhancing the skills and capabilities of Bahraini youth through workshops and training. Rayaat Program was launched in line with the Al Mabarrah Al Khalifia Foundation’s overall vision to provide students with scholarship opportunities at accredited universities in the kingdom in order to create an ambitious generation that can play an integral part in developing the community, said a statement from Tamkeen. Students enrolled in the program are also exposed to numerous training programs and other team building activities aimed at elevating the soft skills of the next generation and creating graduates that are job-ready, it stated. "Tamkeen supports entities that are focused on developing the skills and capabilities of Bahrainis at different stages in their career and studies," remarked its chief executive Dr Ebrahim Janahi. "Also, it is of utmost importance that the youth are exposed to a range of skills that are required in order to excel in their studies and career journey; which will surely impact the overall economic development of the Kingdom," he noted. On the new partnership, Al Mabarrah Al Khalifia Foundation Board of Trustees' chairperson Shaikha Zain bint Khalid Al Khalifa, said: "We would like to take this opportunity to thank Tamkeen for the efforts exerted in supporting the development of Bahraini youth."